Makar Sankranti 2017: Importance, significance & story of why Makar Sankranti is celebrated? Makar Sankranti 2017: All you need to know about why Makar Sankranti is celebrated? 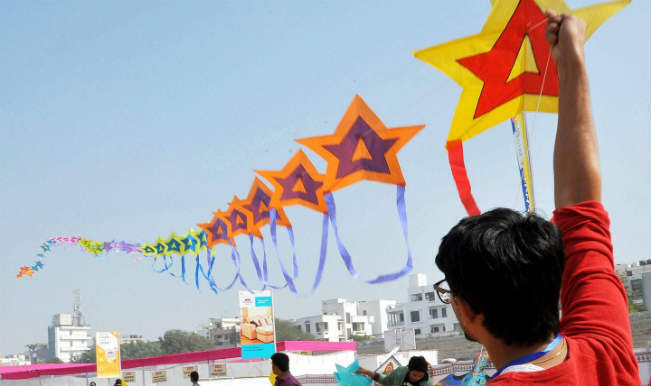 Makar Sankranti is celebrated on a fixed date i.e. 14th January every year. This festival one of the major harvest festival which is celebrated with lot of enthusiasm. This festival is a traditional and oldest event that happens on an equinox that is the length of day and night remains equally long. After Makar Sankranti, the days grow longer and the nights shorter till the next equinox. It is said that on the day of Makar Sankranti, the Sun enters the sphere of Capricorn zodiac known as Makar. Further the term ‘Sankranti’ signifies the movement of the Sun from one zodiac sign into another. Thus, the auspicious day is named as Makar Sankranti, which perfectly defines the movement of the Sun to the sphere of Makara. It is said that on the day of Makar Sankranti, the Sun enters the sphere of Capricorn zodiac known as Makar. Further the term ‘Sankranti’ signifies the movement of the Sun from one zodiac sign into another. Thus, the auspicious day is named as Makar Sankranti, which perfectly defines the movement of the Sun to the sphere of Makara. makar Sankranti is one of the few Hindu festivals which is celebrated on a fixed date i.e. 14th January every year. Sankranti is celebrated all over India but is known by different names. In Gujarat Makar Sankranti is known as Uttarayan whereas in Tamil Nadu it is known as Pongal, Uzhavar Thirunal. In Haryana, Himachal Pradesh and Punjab it is named as Maghi. Before the arrival of this festival, people start preparing sweets and lip-smacking dishes to celebrate a good harvest period. Women offer the Shreemangalchandika prapatti and even offer it after the sunset on the day of Sankranti. This auspicious day holds a significance, Mata Mahishasurmardini, with the purpose of destroying Mahishasur, first set foot on earth, in the Kataraaj ashram of Rishi Kardam and Devahuti. As the festival is celebrated in winters, people start preparing food which can give them give them energy and also keep their body warm. Tilguls – Laddu of Til (Sesame) is made up of Jaggery and devotees also pay respect to Goddess Saraswati. People greet each other Happy Sankranti by saying Tilgul Ghya Aani God God Bola. On this day there are several Melas or fairs which are been held and one of the most famous amongst all melas is Kumbh Mela. It is been held every 12 years at one of four holy locations namely Haridwar, Prayag, Ujjain and Nashik. The Magh Mela which is the mini mela is held annually at Prayag, the Gangasagar Mela held at the Ganges River, Tusu Mela in parts of Jharkhand and West Bengal and many more such fairs are been held on this auspicious day. 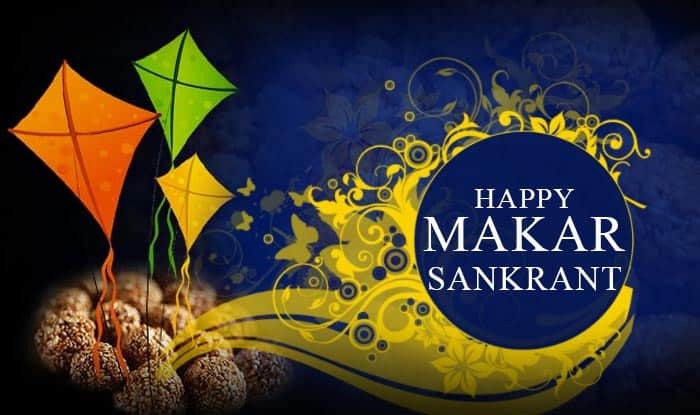 Makar Sankranti is all about forgetting bitter and sad moments which happened in the past and welcoming the new phase of life which is full of purity, knowledge and wisdom. Happy Makar Sankranti 2017!